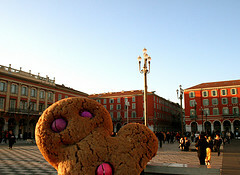 Learn how other countries and cultures tell stories using the Gingerbread Man theme. Create Projects Like This One! This project is a K-2, learner-centered, thematic unit introducing children to the classic Gingerbread Man theme including stories from around the world. As you read these stories, children will learn about the cultures of different countries. This project was developed with a friend of the author, a recently retired primary teacher, Carolyn French. She was looking for a way to share some of the wonderful teaching units she had developed over the years. Her project-based learning philosophy is reflected in the activities presented here. We hope you enjoy using them with your students. We recommend using Firefox as your browser with this project.